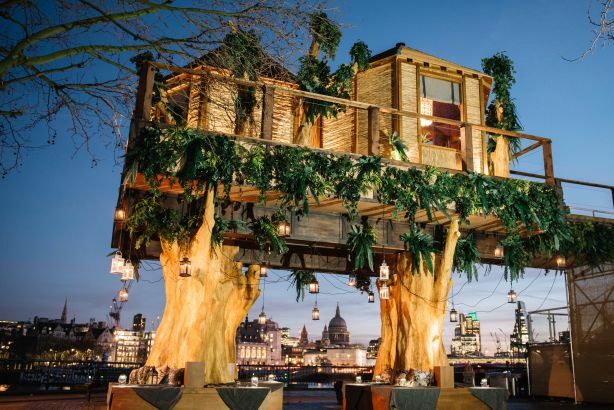 Virgin Holidays has created a 35-foot high luxury South African treehouse on London's Southbank, to promote its 'Wonderlist' holiday experience. M&C Saatchi PR is working with Virgin Holidays on a project basis. The week-long installation, which opened today, is to promote Virgin Holidays' luxury holiday packages, the 'Wonderlist' experience. The stunt represents the Lion Sands Game Reserve's treehouse accommodation in South Africa and is open to members of the public between 11am and 6pm. There is also the chance of winning an overnight stay in the treehouse via an online competition. Throughout the week, Masterchef contestant Petrus Madutlela will be cooking a South-African inspired menu. The treehouse has been designed by interior designer Hubert Zandberg, and includes tribal prints, a four-poster bed and one-off pieces of African sculpture. The installation will remain open until Friday 29 January.